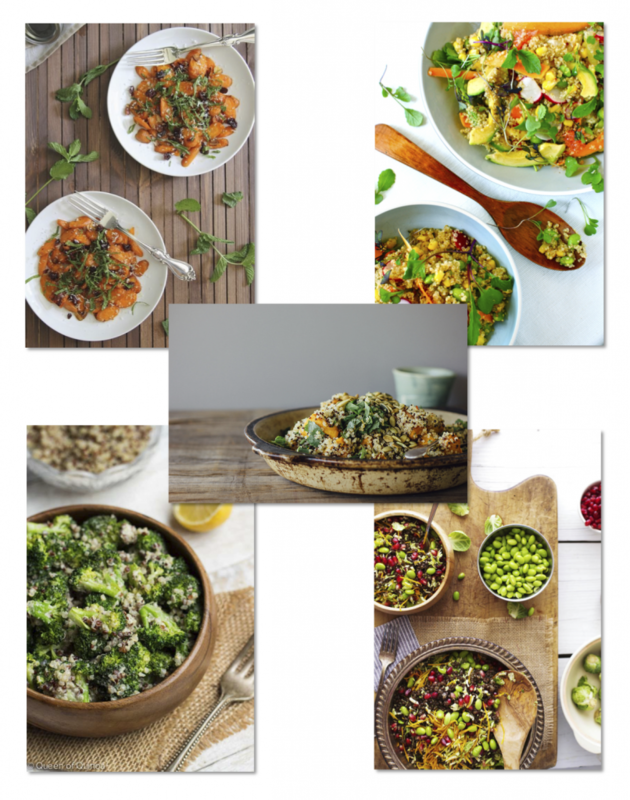 Here are five delicious salads to make this summer- all vegan, gluten-free, and easy to make! Happy First Day of Spring! 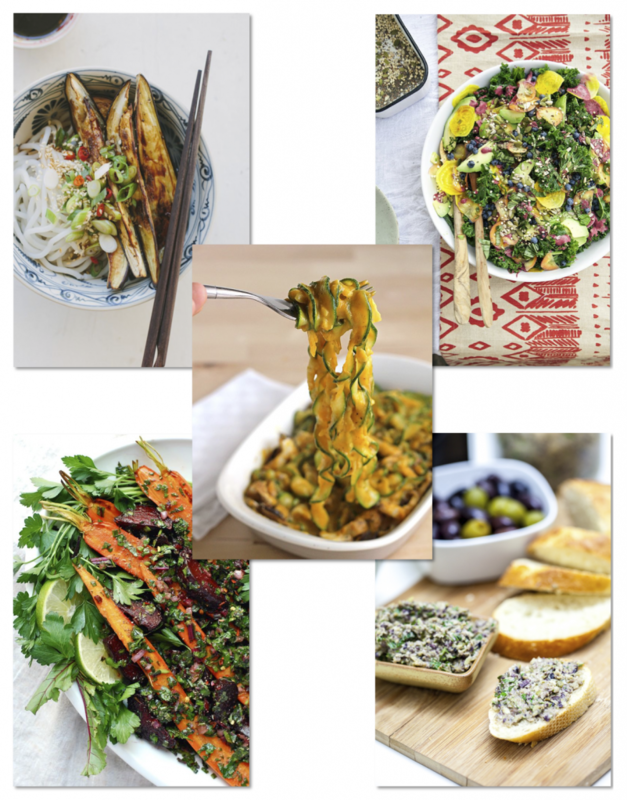 Here are 5 light, nutrition-packed vegan recipes to kick off the season. 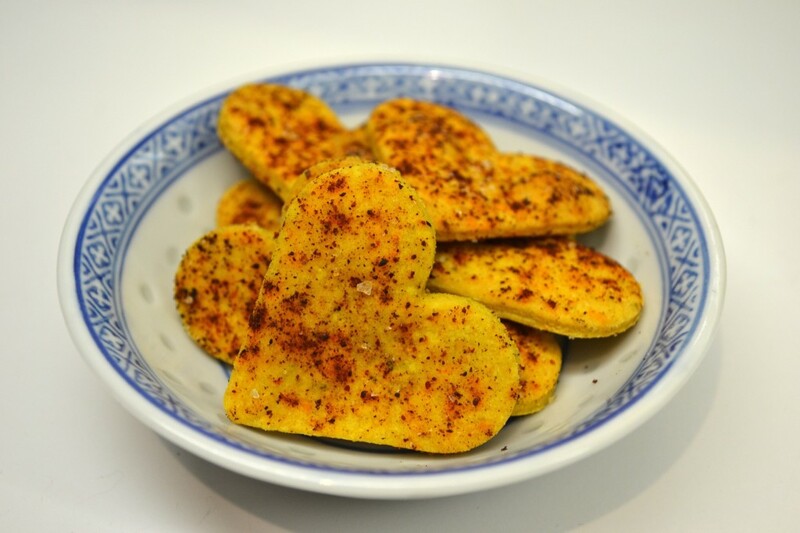 No-Cheese Cheesy Heart Crackers: Easy, Addictive, and Vegan! After going vegan, I found myself craving cheesy crackers like Goldfish. I found an amazing recipe from Chef Chloe and adapted it slightly to add a bit of spice and change the cracker’s shape into a heart. 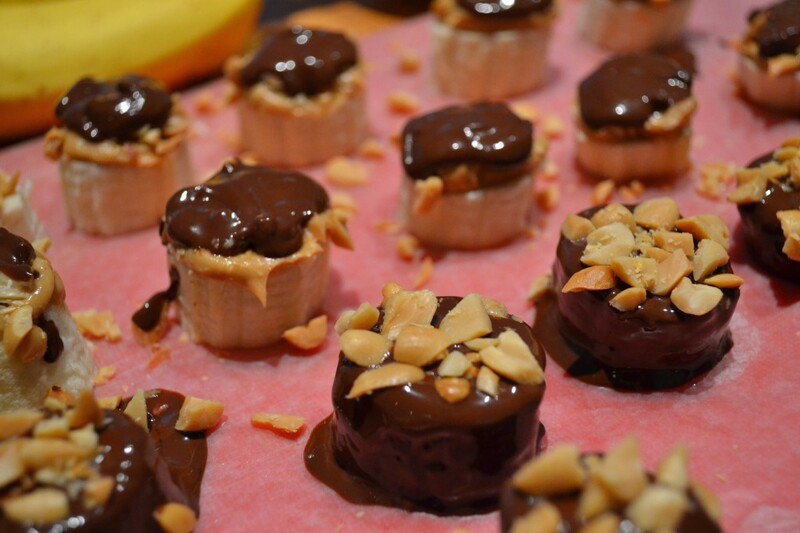 They are easy to make, out-of-this-world good, and completely addictive. I can’t believe I didn’t try making my own “cheese” crackers earlier- these are way better and much healthier than any box of Goldfish or Cheez-Its! 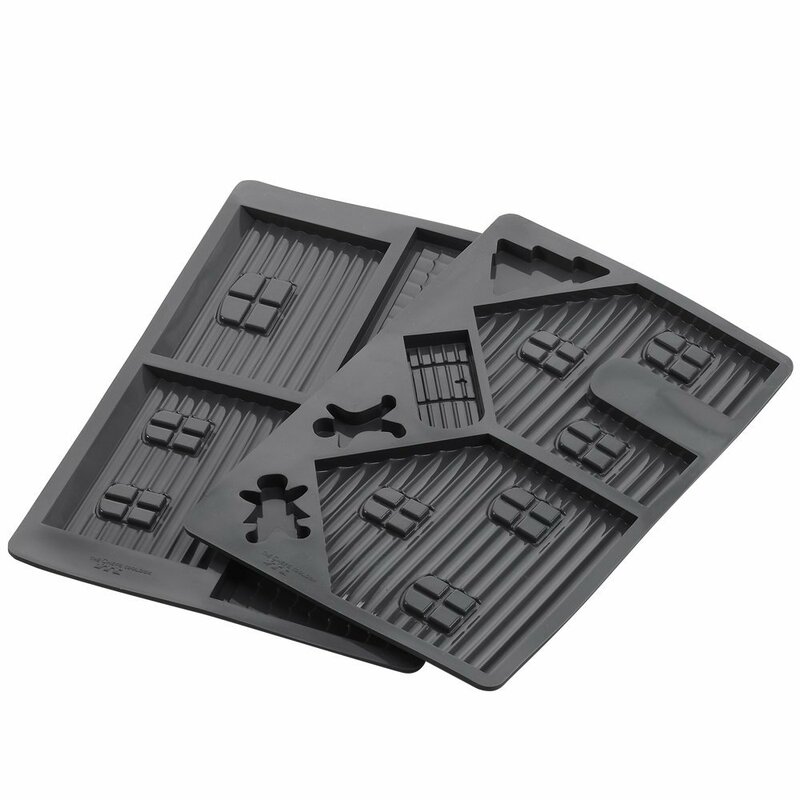 No food coloring and no artificial chemicals! The magic ingredient in this recipe is nutritional yeast, which adds the nutty, cheesy flavor and a boost of vitamins. To make your No-Cheese Cheesy Heart Crackers, follow this recipe from Chef Chloe and instead of using a goldfish cookie cutter, use a heart. Before baking, sprinkle the tops of your crackers with chili powder and pink himalayan sea salt or leave bare for picky eaters! I love eating bright, beautiful, healthy food. 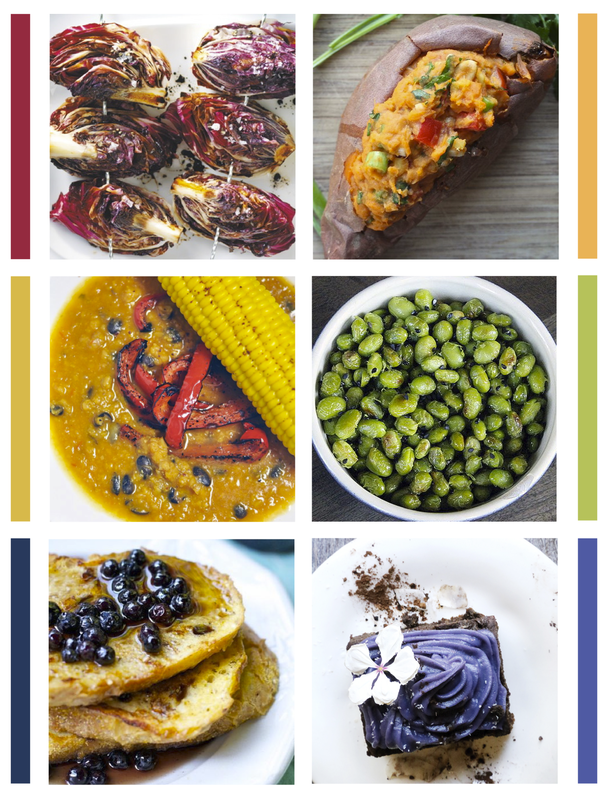 Here are 6 vegan recipes that fit that description- one each for red, orange, yellow, green, blue, and purple. Bon appétit! Nutritional Benefits: Radicchio is high in fiber, antioxidants, and vitamins like A, B, C, and K. The vegetable is also high in Calcium, Iron, Potassium, Zinc, Copper, Magnesium and B vitamins! Another bonus: Lactucopicrin, which has a sedative and analgesic (painkilling) effect. Nutritional Benefits: Sweet potatoes are loaded in beta carotone (Vitamin A), vitamin C, manganese, tryptophan, potassium, fiber, B-Vitamins and more! Nutritional Benefits: This soup is filled with fiber and protein from the lentils and beans while its peppers add vitamin C, vitamin B-6, magnesium, vitamin A, carotenoids, and antioxidants. Nutritional Benefits: Edamame are the perfect complete snacking food! They are packed with protein, fiber, iron, magnesium, phosphorus, manganese, thiamin, folate, and vitamin K. The black sesame seeds add magnesium and calcium. Nutritional Benefits: Blueberries are some of the highest anti-oxidant value fruits in the world and contain lots of cancer-fighting phytochemicals. Pile them on this delicious vanilla cinnamon french toast! Nutritional Benefits: The purple yam shares all the amazing benefits listed for the sweet potatoes in recipe #2 with an extra boost of health-protecting Anthocyanin, the pigment that creates the purple color. After a jump into the 60s last week, today’s 40 degree weather felt very chilly. 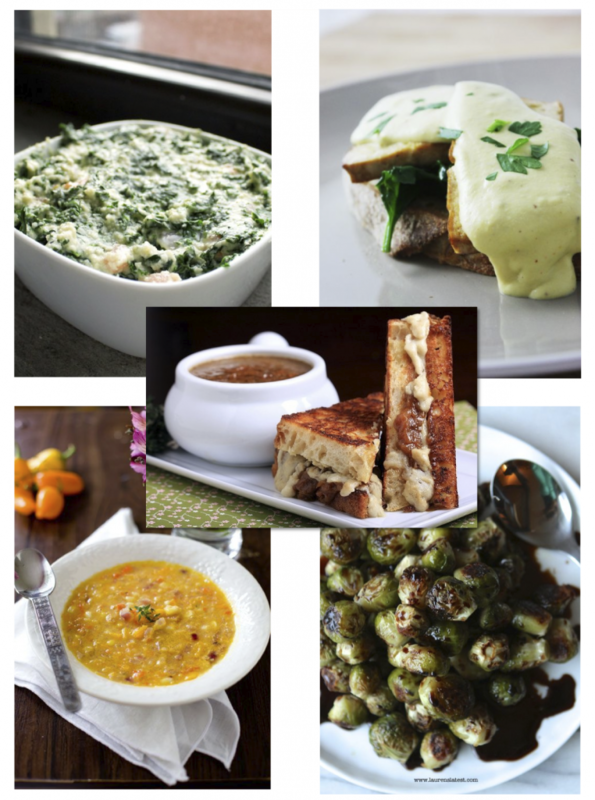 It’s time for cold weather comfort foods! Soup, roasted vegetables, creamed kale, indulgent breakfast, and vegan grilled cheese are all on my “to make” list this winter. 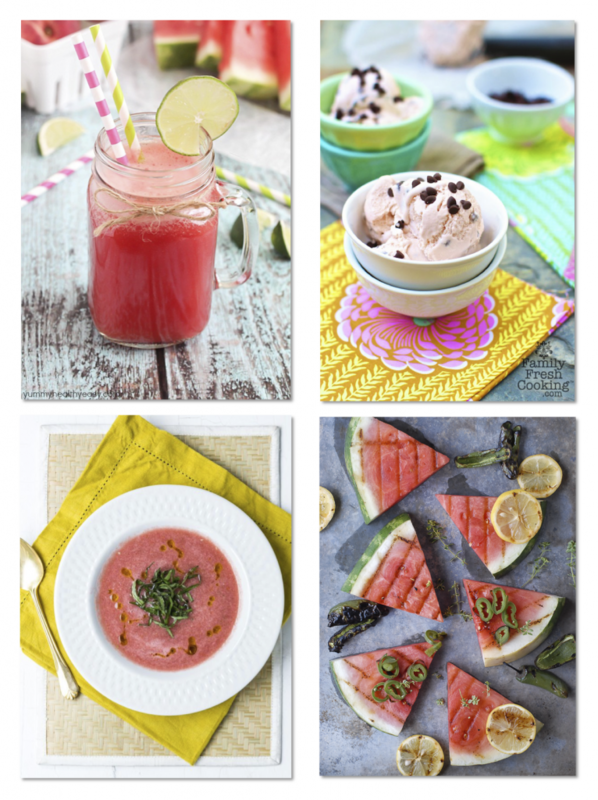 All recipes are dairy and egg free. 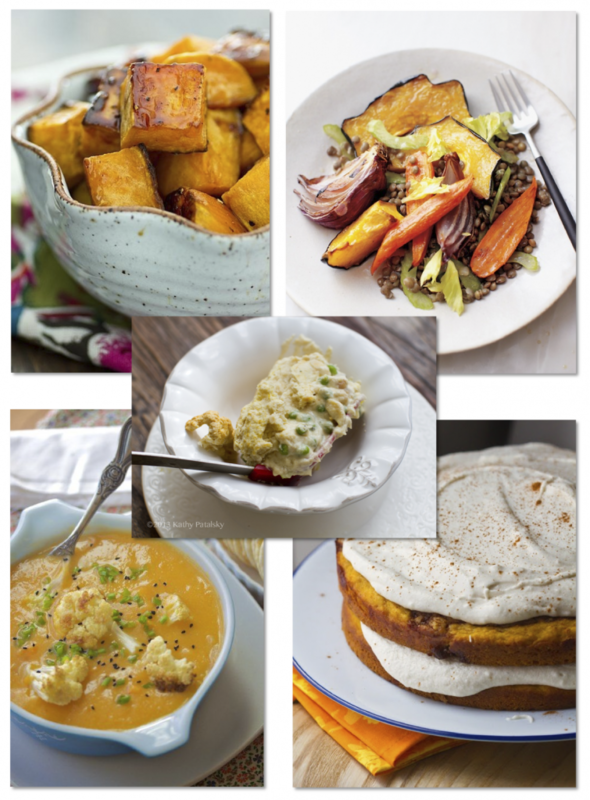 Visit my Vegan Recipes & Foods Pinterest board for more cooking inspiration! —->Kale’s nutritional benefits: iron, vitamin K, vitamin A, vitamin C, calcium, and antioxidants! —->Nutritonal yeast is loaded with B vitamins and this recipe also uses my favorite superfood: kale. —->Onions are known for their anti-septic and anti-bacterial properties in addition to many other health benefits! —->Bell pepper nutritional benefits: tons of vitamin C, vitamin A, carotenoids, and antioxidants. —->Brussels sprouts nutritional benefits: vitamin A, vitamin C, folacin, potassium, calcium, phytochemicals, and protein! 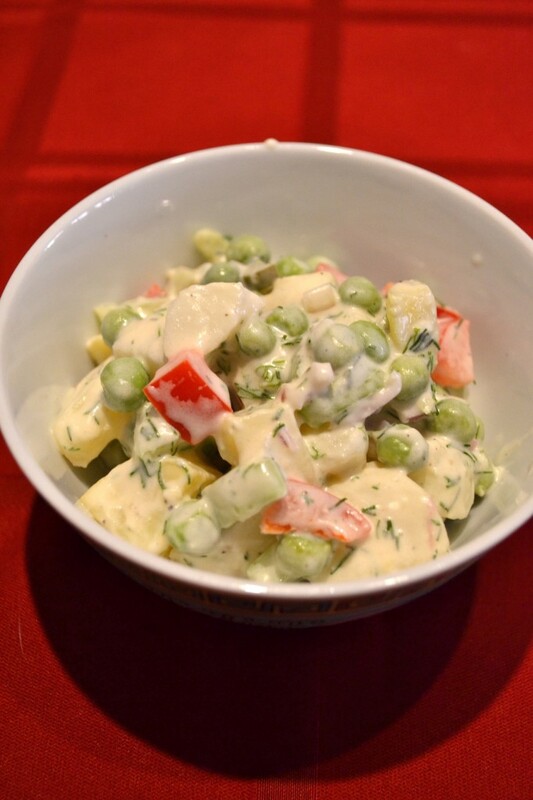 I made this amazing Vegan Potato Salad with Dill, Shallot, and Peas for the 4th of July and haven’t stopped thinking about it since! I normally don’t even like potato salad so this creation surprised me. I’ll be going on vacation next week (finally! ), and I think this recipe will be the perfect addition for an end-of-summer cookout. Today is National Lasagna Day! 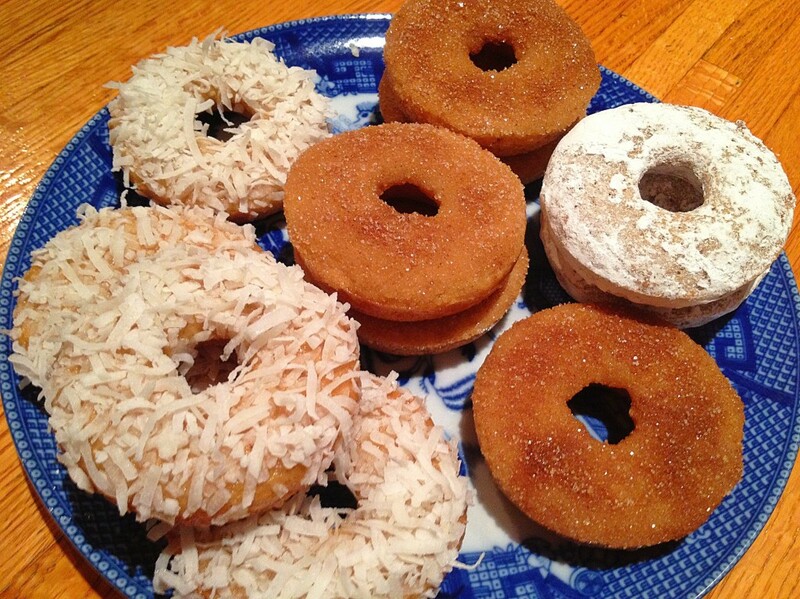 This is one of my favorite recipes from my Vegan Recipes & Foods Pinterest board. Doesn’t it look delicious? 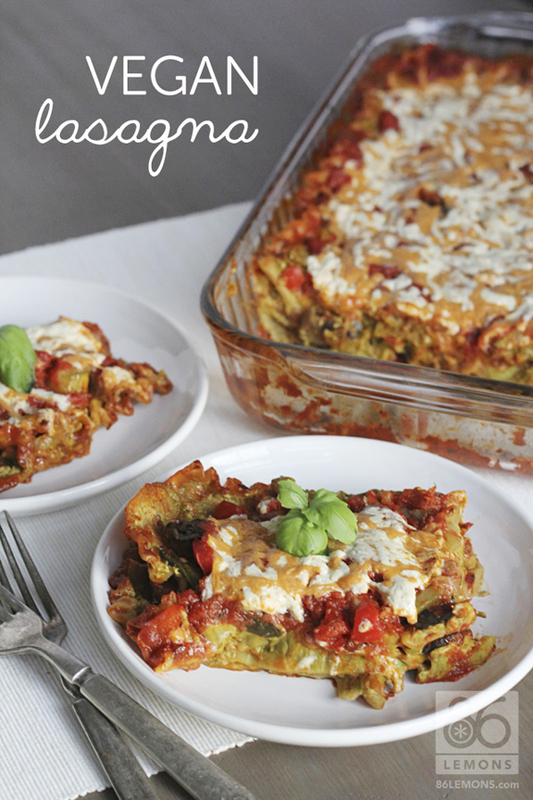 It is the Vegan Lasagna with Basil Cashew Cheeze from Oh She Glows, photographed and reviewed by 86 Lemons. Basil cashew cheese is one of the best vegan foods I’ve been introduced to in the last couple years! It is so diverse: you can spread it on bread and crackers, bake it on pizza, make creamy sauce with it, or cover it with breadcrumbs and pan fry! Make your own following the recipe above or buy a pre-made version, like the amazing basil cashew spread called Basilcotta from Regal Vegan. !Feliz Cinco De Mayo! 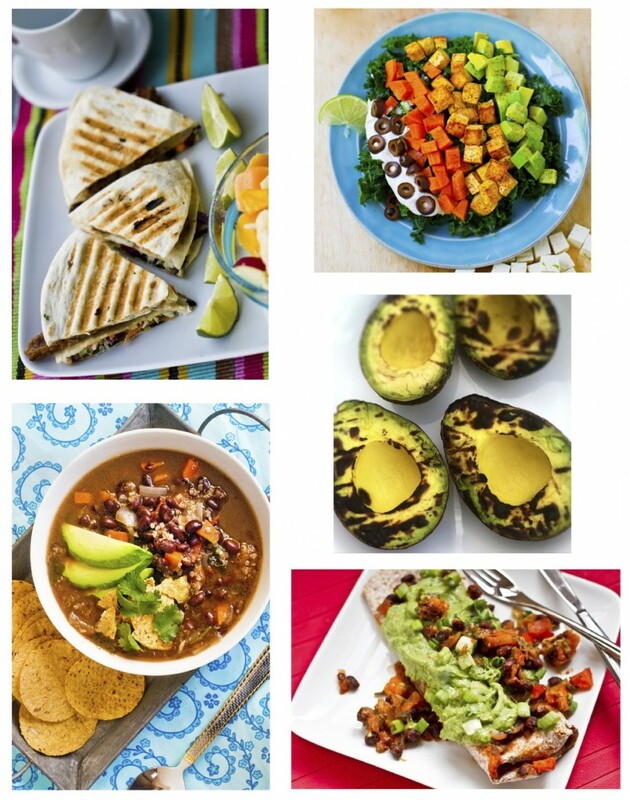 We chose 5 vegan Mexican-inspired dishes to share with you today. 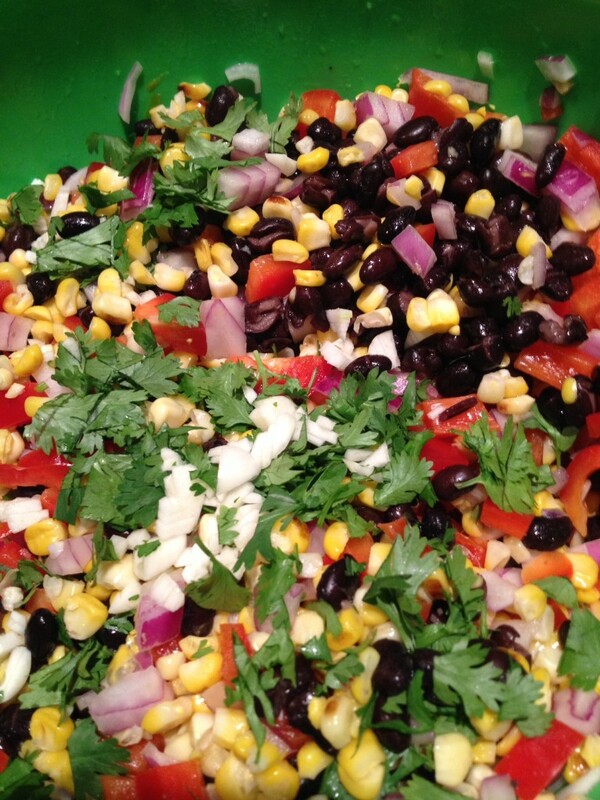 These pictures have us salivating for cilantro, lime, and spice! 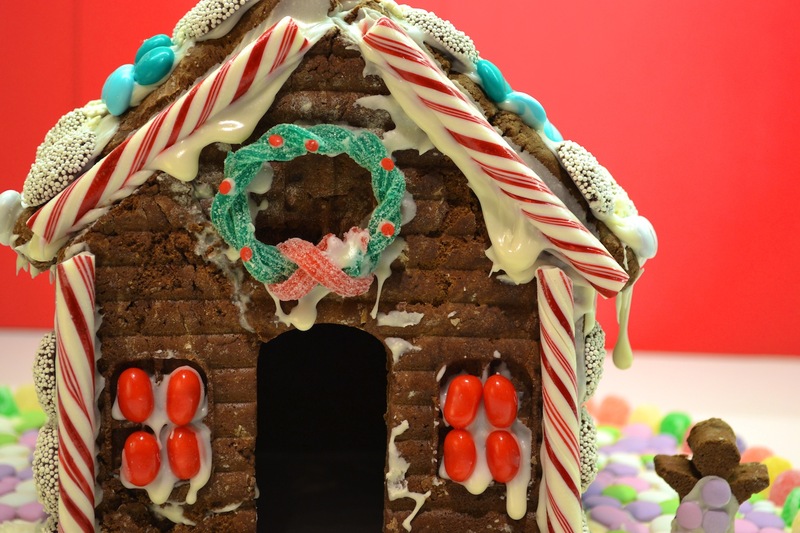 Click on each picture for the recipe.